[PDF] W Symmetry (World Scientific Series in Contemporary Chemical Physics) | Free eBooks Download - EBOOKEE! Description: W-symmetry is an extension of conformal symmetry in two dimensions. Since its introduction in 1985, W-symmetry has become one of the central notions in the study of two-dimensional conformal field theory. The mathematical structures that underlie W-symmetry are so-called W-algebras, which are higher-spin extensions of the Virasoro algebra. 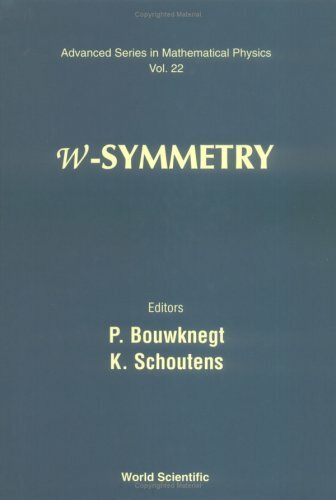 This book contains a collection of papers on W-symmetry, covering the period from 1985 through 1993. Its main focus is the construction of W-algebras and their representation theory. A recurrent theme is the intimate connection between W-algebras and affine Lie algebras. Some of the applications, in particular W-gravity, are also covered.The significance of this reprint volume is that there are no textbooks entirely devoted to the subject. No comments for "[PDF] W Symmetry (World Scientific Series in Contemporary Chemical Physics)".